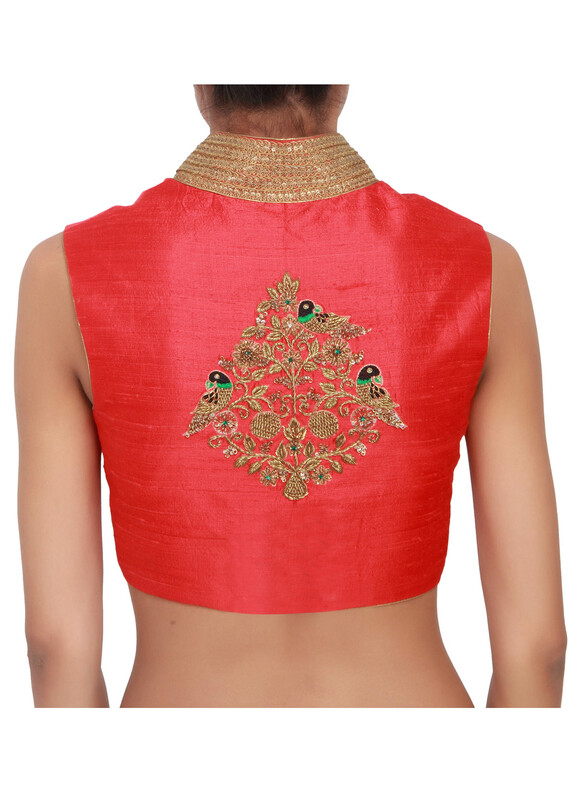 Scarlet red over-lapping blouse featured in silk, embellished with bronze zardozi work on both, front and back. 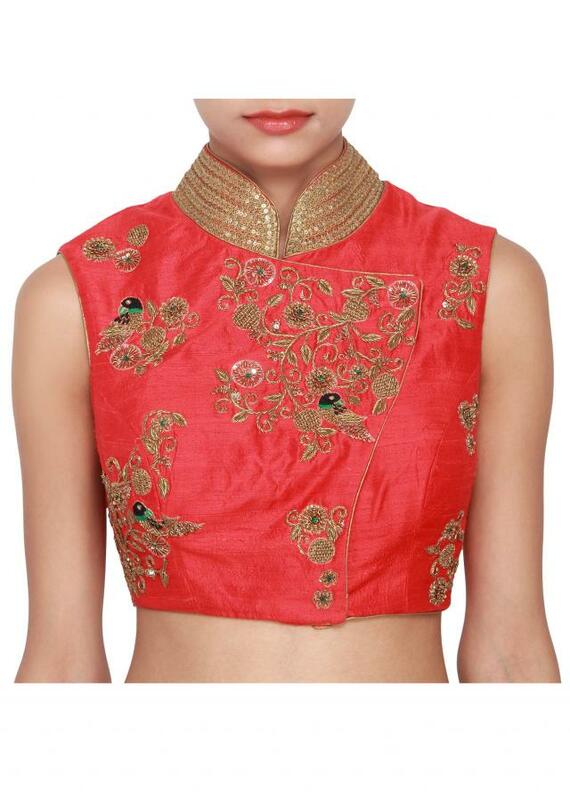 It is sleeveless and has a bronze decorative collar attached to it. The hem is detailed in gold piping all over.